Nydia Blas’s narrative photographs delicately weave stories concerning circumstance, value, and power. Through her imagery she creates a physical and allegorical space, presented through a Black feminine lens, that straddles the boundaries of documentary and surrealism. The result is an environment that is dependent upon the belief that in order to maintain resiliency, a magical outlook is necessary. 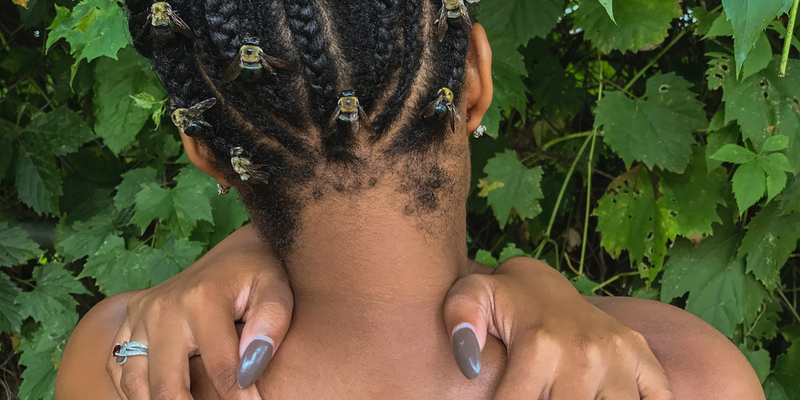 Presented in the Garey Gallery, Whatever You Like is a concise exhibition exploring the ways in which Black girls learn to reclaim themselves for their own pleasure. As girls are taught to see themselves through the eyes of others, they also learn that their bodies are about pleasing other people. Blas interrogates this notion as her subjects step outside of imposed confines, focus on the interior, and create complicated ways to see themselves.